My friend and I have this ongoing joke about the Kansas City Chiefs football team. 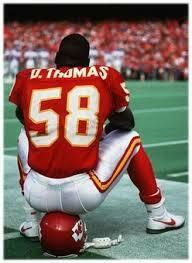 It dates all the way back to 1989 or so when Marty Schottenheimer was the head coach and guys like Derrick Thomas, Neil Smith and Christian Okoye (aka the Nigerian Nightmare) were making a name for themselves. 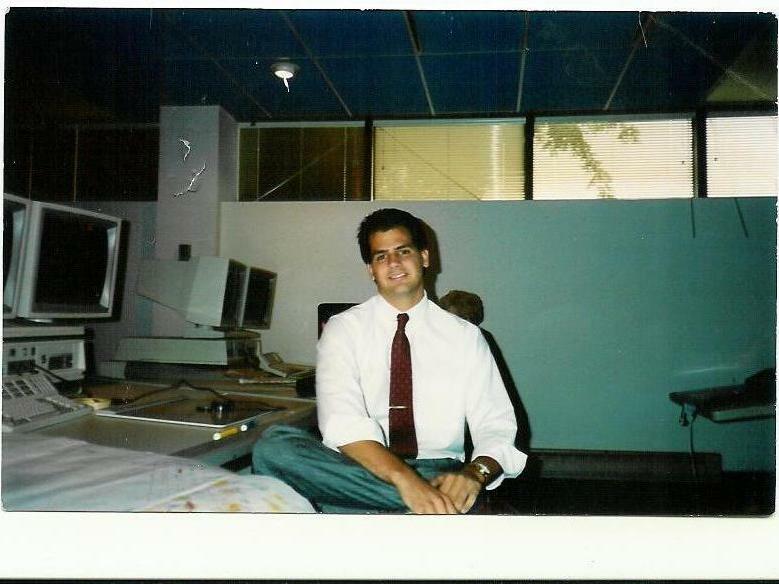 Bill in the CAD room at Intelligraphics circa 1989ish. At the time, the Packers were pretty brutal, so I was big on watching teams that showed a little promise. The Buffalo Bills were my in-laws' team and were really good with Jim Kelly, Bruce Smith and the rest. I loved to watch them but they lived to disappoint, much like my Vikings did back in the 70's with all those super bowl flops. 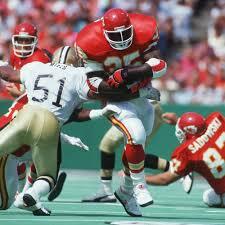 But I remember seeing the Chiefs and thinking this team was really something. 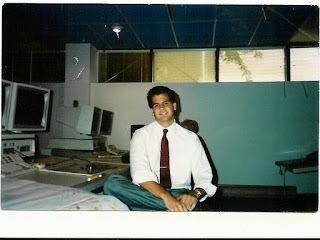 Back then I was working at Intelligraphics Inc, a sweatshop employer in Waukesha focused on utility mapping for phone, electric and gas utilities. I had a good friend, Bill Lee who worked there too. We went to the same gym and made jokes about our weightlifting abilities. And on those weeks where we got our dime raises for the year, we'd take it out on the heavy bag. One time at the gym we were talking football and I said, "KC is the team to watch. Mark my word!" Bill thought that was kind of prophetic or something and we both had a good laugh about it. As they quickly bowed out of the playoff race that year, Bill reminded me, "Hey, KC. Team to watch. Mark my word." Well, after Bill took another job somewhere else and we sort of lost touch. On occasion when I'd run into him, he said, "Hey Jimbo. KC. Team to watch?" To which I replied, "Mark my word." We'd both have a good laugh and go our own ways until next time. Years passed and we got back into touch through the magic of Facebook. We've gone out to lunch a few times, hung out, collaborated on a couple of book trailers and even watched a Packer game together a few years ago. So, for every year the Chiefs have been in the playoffs, including 2010, 2013, 2015, 2016 and 2017, I've sent him text messages saying, KC. Team to watch. Mark my word." Without fail, EVERY YEAR they seem to find a new way to lose in the playoffs. The two of us have a good laugh and wait until the following fall. Then, when they win their opener, I start the texts again. "Hey. KC..."
Well, this year the Chiefs have ratcheted it up a notch and are one game away from the Super Bowl. They look better than all the other Chiefs teams I've seen over the years, so I think this might be the year. Mark my words. So, today I'll say it again. "KC. Team to watch. Mark my word." And this time I mean it.